Looking for a leader in commercial real estate in the Lake Country, Waukesha and Milwaukee County areas? Devin Piehl (CCIM candidate) is the leading commercial broker at First Weber Group. Devin specializes in commercial and investment real estate transactions that are considered too complex for mainstream agents. Devin has represented numerous investors, corporations, lawyers, trusts, Community Development Authorities (C.D.A.s) and other licensed sales agents and brokers with transactions involving leasing, business brokerage, multi-family, industrial, land development, residential and retail. In addition, Devin has been a leader in the Milwaukee area MLS in the sale of bars and restaurants for the last two years. Devin is also studying to complete his CCIM designation. What is a CCIM designation? A Certified Commercial Investment Member (CCIM) is a recognized expert in the disciplines of commercial and investment real estate. A CCIM is an invaluable resource to the commercial real estate owner, investor and user, and is among an elite corps of 7,500 professionals across North America who hold the CCIM designation. Devin, his wife Larissa and daughter Lilly live in Oconomowoc, Wisconsin, and Devin’s main office is in the heart of the Lake Country in Delafield. 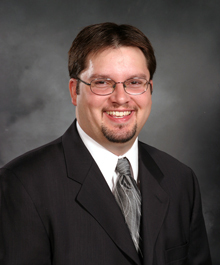 Devin focuses his real estate practice on Lake Country, as well as Waukesha, Jefferson, Dodge and Milwaukee counties. Devin would be happy to handle all of your industrial real estate, office real estate, retail real estate and investment real estate, as well as land, land development and business brokerage. A HUD approved broker serving Oconomowoc, Delafield, Hartland, Pewaukee, Waukesha and surrounding areas. See more at www.hudhomestore.com Expierence in HUD transactions as well as foreclosures. Devin has represented several banks and understands the process more clearly then other agents. Expierence counts, above all else when selecting an agent to represent you. Devin has proven expierence in commercial real estate, foreclosures and Hud homes. Devin is the clear choice for property in Oconomowoc, Hartland, Delafield, Waukesha and surrounding areas as well as Jefferson, Dodge and Milwaukee counties.